Revel in more than 20 family-friendly weekend events and tour over 500 homes at communities across the city during Houston’s Largest Home Tour throughout April 2019. Houston’s Largest Home Tour gets rolling this April, promising a month filled with well-appointed homes, jam-packed events, and weeks of family fun. Hundreds of homes will be open daily—including more than 170 models and nearly 500 Pinterest-worthy inventory homes—in more than a dozen of Johnson Development’s master-planned communities throughout Houston. Of course, admission is completely free. 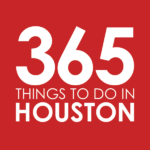 In addition to touring homes filled with inspiring design and wow-factor architectural trends, Houston’s Largest Home Tour visitors can also enjoy concerts, a crawfish boil, farmers markets, pilates, pups, and more. Special to this year’s events, Houston’s Largest Home Tour will feature eighteen art installations spread across multiple communities, providing a chance to strike a pose with giant pinwheels, wildflowers, and other picture-perfect pieces of art. Click here for more event information and to explore the different communities. Cross Creek Ranch in Fulshear – Located minutes west of the Grand Parkway off of FM 1093, the 3,200-acre community is packed with lakes, hike and bike trails, parks and more. Visitors to Cross Creek Ranch can enjoy the Music on the Patio concert series on the first three Fridays of the month, as well as the Mutt Strut for a day of canine celebration. Click here for more details. Edgewater in Webster – Built along the banks of Clear Creek, the 538-acre mixed-use community is near the Johnson Space Center, the NASA Parkway bypass, and several major medical centers. Waterways and miles of nature trails appeal to nature-loving residents, and visitors are invited to explore the development and tour model homes. Click here for more details. Grand Central Park in Conroe – The 2,046-acre master-planned community in Conroe is inviting the public to Brews and BBQ, a lunchtime event that includes smoky flavors, games, raffles, and live music. The state park-like setting will also feature model homes available for visiting. Click here for more details. Harmony in North Houston – Situated just five miles east of Interstate 45 near the ExxonMobil campus, with direct access to the Grand Parkway, the 1,000-acre community features several model homes open for touring throughout the month. Click here for more details. Harvest Green in Richmond – A 1,300-acre farm-centric community, Harvest Green offers residents a true farm-to-table experience. On Saturdays in April, guests can swing by the Harvest Green Farmers Market to peruse for fresh produce while enjoying live music. At the Pilates, Pints, and Pups event on Sunday, April 7, visitors can refresh themselves with a 60-minute pilates class, grab a pint of delicious craft beer, and get face-to-snout with a selection of shelter pups on-site. Click here for more details. Imperial in Sugar Land – Surrounding the historic Imperial Sugar Company refinery, the 700-acre community is a mixed-use development that incorporates retail, residential, entertainment, and office components to create a premiere live-work-play community. Join the community on Saturday, April 13 for the March for Babies fundraiser, in association with the March of Dimes. Click here for more details. Jordan Ranch in Fulshear – Situated one mile south of Interstate 10 just west of the Grand Parkway, Jordan Ranch is nestled in the slower paced environment of Fulshear and is served by Lamar CISD. Get ready for the Easter Egg Scramble on Saturday, April 13, where families can scavenge for eggs with cash yolks, take in the petting zoo, and snap a photo with the Easter Bunny. Click here for more details. Riverstone in Fort Bend County – The 3,700-acre community situated just minutes from U.S. 59 and the Fort Bend Parkway, Riverstone is Johnson Development’s top-selling community and is ranked among the nation’s best-selling developments. Amid the backdrop of lakes and parklands, the community is hosting its popular Houston’s Coolest Crawfish Boil on Saturday, April 13. Click here for more details. Sienna Plantation in Fort Bend County – This 10,000-acre community is located along Highway 6 in Fort Bend County and is the number-one selling community in Texas. On Saturday, April 13, Sienna Plantation is hosting the Parks and Picnics Fun Fest, with traditional picnic fare, games, and live music. The Brazos River Bike Rally on Saturday, April 20 also makes for a great way to casually explore the neighborhoods atop two wheels. Click here for more details. Tuscan Lakes in League City – Located on State Highway 96 two miles west of Interstate 45, the Tuscan-themed development is minutes from the Johnson Space Center and the Kemah Boardwalk. Click here for more details. Veranda in Fort Bend County – Veranda makes for Johnson Development’s seventh community in Fort Bend, featuring homes with southern charm and relaxing front porches. Celebrate at the community’s third birthday party on Saturday, April 27 with a bash featuring free cake and ice cream, bounce houses, video games, and more. Click here for more details. Willow Creek Farms in Brookshire – Just south of Interstate 10 and west of Katy in Brookshire, the 600-acre community features trails, a full Olympic-sized pool, recreation center, and splash pad. Not to mention, it’s also within Lamar and Katy School Districts. Click here for more details. Woodforest in South Montgomery County – Minutes from some of The Woodlands primary shopping and entertainment destinations, the 3,000-acre community is seven miles west of Interstate 45. The Woodforest Crawfish Carnival on Saturday, April 6 makes for a perfect opportunity to check out the neighborhood while feasting on spicy crawfish, hearing the festive sounds of Zydeco, taking a spin at carnival games, and more. Click here for more details. Times: Homes are available for touring Mondays through Saturday 10am to 6pm; Sundays noon to 6pm. Click here for more information.